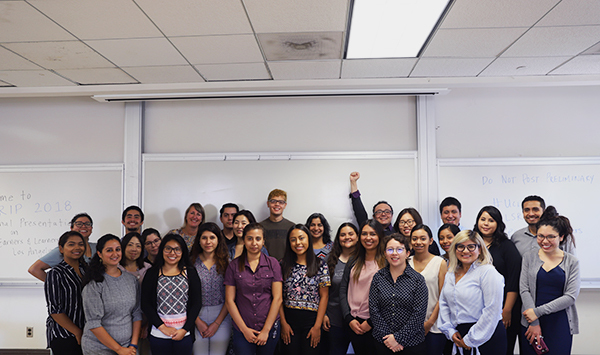 In collaboration with the UCLA Department of History, the UCLA Labor Center premiered animated short film, I am a #YOUNGWORKER. The film combines young worker experiences and research data into a powerful and artistic animated story. The film premiered at a lively event at the UCLA Labor Center showcasing arts-based social justice activities, featuring Sessions LA, a hip hop music production program for Los Angeles youth. 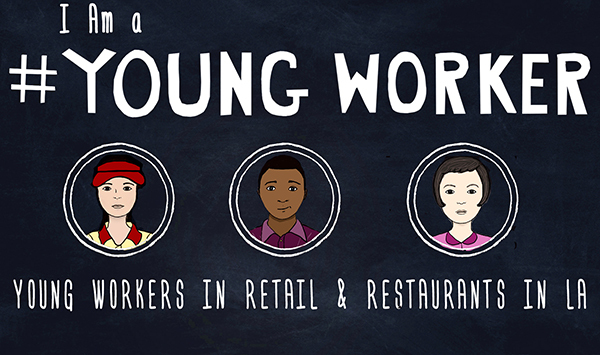 The I am a #YOUNGWORKER film is a part of a broader multimedia research project that combines data, stories, and images by and for young people. It gets to the core of what young workers face today– their struggles, their dreams, and their hopes for the future. The project also includes a young worker photo gallery exhibited at the Labor Center. Read the report and see photo exhibit. Watch the film– and please share it widely! 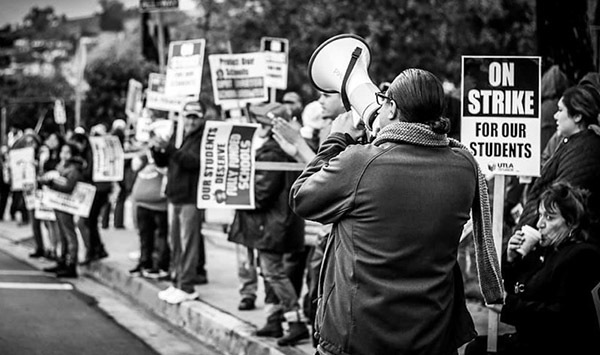 I am a #YOUNGWORKER was produced by Donna Golden, Preeti Sharma, Diana Valenzuela, Saba Waheed, Janna Shadduck Hernandez, Toby Higbie and Stefanie Ritoper.